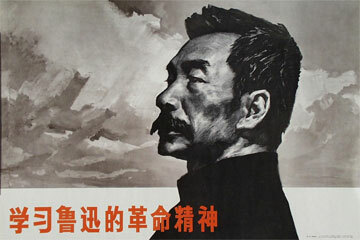 Lu Xun (Lu Hsun) was the pen name of Zhou Shuren. Lu is widely regarded as one of modern China’s most prominent and influential writers. His work promoted radical change through criticism of antiquated cultural values and repressive social customs. 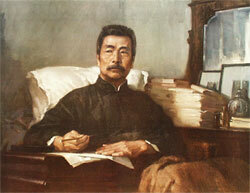 Lu Xun quickly gained notoriety as a stirring, insightful, and prolific writer. In addition to writing, Lu worked as an editor, professor and dean of studies. He began studying Marxism-Leninism in 1928 and shortly thereafter, he undertook the translation of works concerning Marxist literary theory. Although Lu never joined the Chinese Communist Party, he was widely regarded as a Marxist in the later years of his life and he worked closely with communists in many anti-imperialist and anti-fascist campaigns. 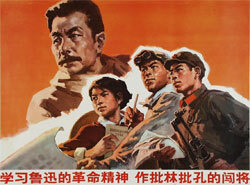 Lu advocated a united front by the CCP and the Kuomintang against the forces of Japanese imperialism. While afflicted with tuberculosis, Lu continued to write passionately about the struggle against Japanese aggression until his death in 1936.